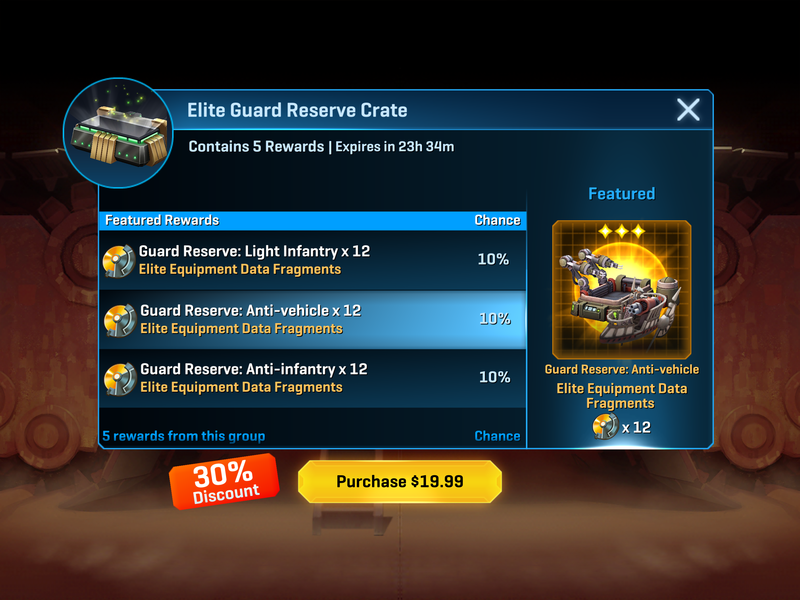 The rest of us will do the Planetary Conflict Grind and get the same amount for FREE!! Mine is showing 10 rewards for $50. Yeah, no. My guard reserve is already over level 3 which according to some makes my base completely unbeatable. I therefore have no need for GR frags, lol. Any news on what’s next after this conflict? Yeah, we get a message that they're shutting the game down in 30 days. hmmm... would you pay a monthly subscription of US$1 or EU€1 for this game? I think I might. 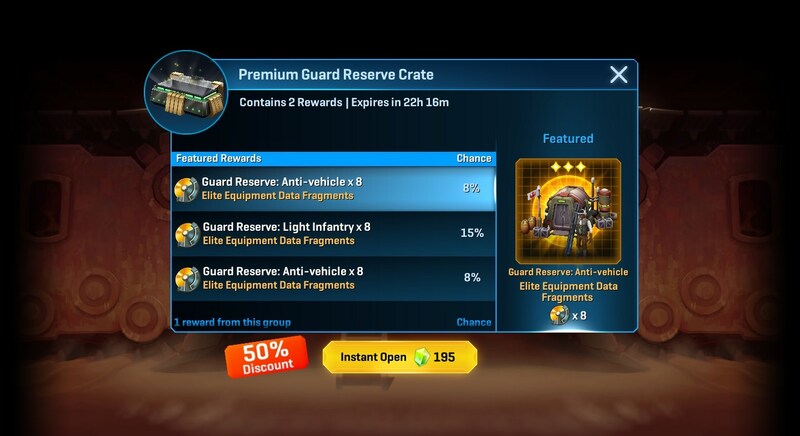 But $50 for random crates without enough frags to even guarantee an upgrade?! The Guard Reserve Event - Week #1 (Final Week) has ended. In 24 Hours SWC Classic Multi-Event (Last Jedi Event #2) will begin. Last edited by DeathStriker on Wed Jul 04, 2018 1:41 pm, edited 3 times in total.